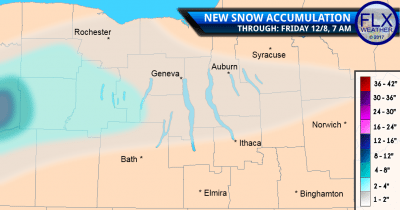 Lake effect snow will be wobbling across the Finger Lakes, according to FLX Weather Meteorologist Drew Montreuil. The forecast is going to be cool, cloudy and dominated by snow showers. Montreuil says that the band of lake snow, which is hanging off of Lake Erie, isn’t expected to setup in one location, or persist long enough for accumulation. However, a few slick spots on roadways are possible as temperatures hover around the freezing mark. Throughout the evening the lake effect band will shift north, and by Friday morning the lake snows should be wrapped up for the region. Montreuil says that things will be quiet and cool on Friday and Saturday. The sun will make a return to end the work week, which will hang on into part of the day on Saturday. Clouds will regain control though late in the day, as temperatures creep ever-so-slightly warmer into the upper-30s. 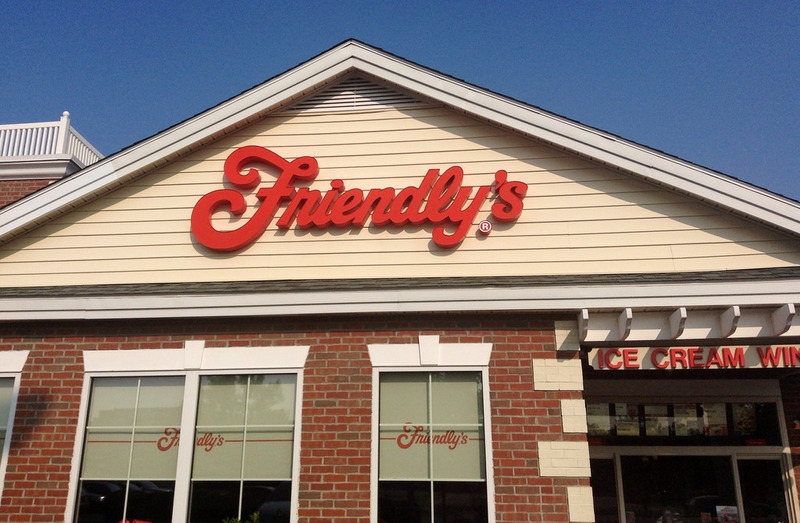 Mostly sunny, with a high near 33. Southwest wind 8 to 13 mph. Mostly cloudy, with a high near 35. Southwest wind 3 to 8 mph. A chance of snow showers. Mostly cloudy, with a high near 28. Chance of precipitation is 40%. Scattered snow showers. Mostly cloudy, with a high near 34. Chance of precipitation is 30%. Snow likely. Cloudy, with a high near 26. Chance of precipitation is 60%. Snow showers likely. Mostly cloudy, with a high near 18. Chance of precipitation is 60%. Check out the FingerLakes1.com Weather Center for more.